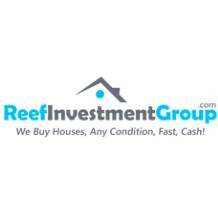 Reef Investment Group helps homeowners of North San Diego County and other parts of CA to sell their house immediately and for cash. Unlike real estate agents who work for fees or commission, we buy the house for ourselves and offer an all-cash offer within 24 hours, closing the deal within 7 days. We buy houses in their existing situation and don’t expect any renovation or repair. For details, visit http://www.reefinvestmentgroup.com/ and http://www.reefinvestmentgroup.com/our-company/.